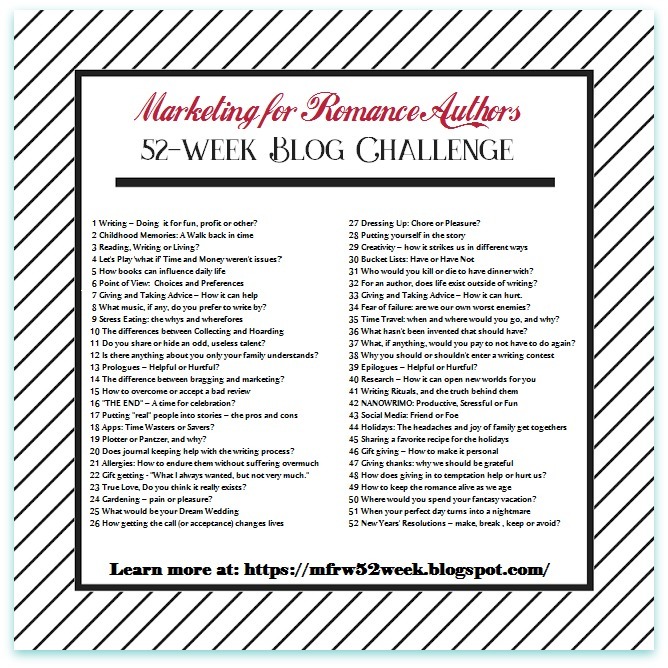 I don’t think you’ll care about my allergies, albeit, I’m back on a roll and doing my best to continue posting in Marketing for Romance Writers 52-Week Blog Challenge Blog Hop, so I’m responding to this topic. 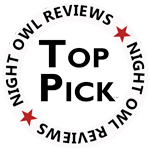 Our hashtag is #MFRWauthor. I’ll mention the normal ones first. The ones that aren’t life-threatening. Simply, I’m allergic to spring and fall. Our autumns seem to be lasting longer. As we speak, leaves are falling all around and getting moldy on the ground from lots of rain. I’m allergic to mold, too. These are allergies I’ve learned to deal with until I get a sinus infection. Eww. Then my head gets spacey, hurts, I feel like I’m falling over, and sometimes I get BPPV vertigo. Before ever hearing about vertigo, I had numerous tests done to learn why I kept getting dizzy. No reasons were ever found. Thankfully. Vertigo happens when the crystals in your ears move away from where they should be. At the above link, WebMD writes about other causes, too. Check with your doctor before trying to treat yourself. Disclaimer: The reader should regularly consult a physician in matters relating to his or her health. My doctor printed off a sheet of instructions for me. Here’s the procedure (BPPV) on You Tube. I often have to do these more than once. This exercise works for me. Before learning about the exercises, I’d take the drug, Antivert for more than a week before the world stopped spinning. But there is one big allergy that scares the daylights out of me—a life-threatening allergy. This is a contrast dye used for a heart test I had done. Of course, I found this out the hard way a few years ago while in the Emergency Room. I thought I had died–after the fact. It started with severe itching over my entire body, even my tongue. While I went into anaphylactic shock, I had no idea that I had passed out until I came to. I would’ve died peacefully. To wrap up this post, I have seasonal allergies, plus a bunch of other ones like duck feathers, a few I can’t think of, and Kapok– A mass of silky fibers that surrounds the seeds of the kapok tree and are used especially as a filling for mattresses, pillows, life preservers, and sleeping bags and as insulation. Merriam Webster. That’s all for now. Thanks for visiting! This is a blog hop. I wonder what my fellow writers are allergic to. We can all find out by clicking HERE. WordPress notified me that it’s my eleventh WordPress anniversary. It’s hard to believe I’ve had this blog for that long. Growing this blog has been and still is a slow go, but I have no plans on giving up except while completing a book or getting ready to publish. I hope WordPress doesn’t mind that I used their logo. Pictures are from Pixabay except for the WordPress Logo and the 52-Week Challenge image.